A new Korea war would devastate global capital markets. The battlefield casualties would be far worse. The 1950-53 conflict killed millions. But Kim Jong Un is young and reckless. His recent missile and nuclear tests, his annulment of the armistice, and his bellicose rhetoric are extreme. NK actions have prompted the US and SK to firm up contingency plans. SK rules of engagement now allow speedier responses to NK attacks such as naval or artillery strikes. SK generals plan pre-emptive strikes if intelligence indicate an NK nuclear attack. The NK Korean People's Army, KPA, is 1.1 million strong, compared to 640,000 SK military and 28,000 US troops. The KPA lacks fuel, fields outdated equipment, and includes undernourished troops, but its special forces and artillery are threatening. It fields 60,000 special forces and 13,000 artillery pieces, mostly dug in along the DMZ and ranged on Seoul, just 48 km south of the border. The KPA might be able to mount an offense massive enough to punch through the DMZ and SK defenses and take Seoul, a region with 24 million people. Commandos would provide the KPA spearhead, infiltrating by air and sea and under cover to hit infrastructure and bases, degrade SK command and control, and hinder US reinforcements. Tactics would likely include electronic warfare. KPA artillery could fire thousands of shells in an opening barrage. But KPA special forces and artillery cannot seize and hold ground, and main force units on the move are vulnerable. Analysts expect an offensive lasting only a few days. The USSK could fight a 3D battle: KPA infantry and armored units would be pummeled by air strikes, cut off by airborne forces, and outflanked by amphibious forces. But once the KPA broke into Seoul, it would hard to evict. Close combat there could prove murderous. Destroying bunkered NK artillery shelling Seoul would be hard too. US "bunker buster" bombs used in Iraq were originally designed for use in Korea. USSK precision-guided munitions would take out bunkered KPA units. USSK marine or airborne landings to the rear of the NK gun line can weaken the KPA punch, but Seoul would be badly damaged, and KPA missiles are a threat. Still, experts see no way for Pyongyang to win a sustained war. Any USSK advance into NK risks a response from China. Pyongyang has a mutual defense treaty with Beijing. SK Institute of National Unification NK researcher Choi Ji-wook: "China will support North Korea, but only on North Korean territory. They will not support a North Korean army attacking South Korean territory." Kim Jong Un has a nuclear doomsday option. Pyongyang does not yet have a missile-mounted nuclear warhead, but NK forces can hit Japan or South Korea with nuclear devices or dirty bombs in various ways. If Kim detonated a nuclear device, it would guarantee apocalyptic retaliation. Kim Jong Un has ratcheted up NK threats toward USSK and promised preemptive nuclear strikes. His bluff and bluster keeps his enemies off guard, strengthens internal political control, promotes national unity, and shows he's a badass. This year, the UN Security Council resolution passing tough financial sanctions on NK following its missile and nuclear tests coincided with USSK military exercises organized to show political resolve to deter NK aggression. The establishment of a UN commission of inquiry into NK human rights violation tarnishes the standing of the regime. NK responses belie a sense of vulnerability. NK tests the mettle of each new SK leader through threats and provocation in a hazing ritual. SK has shown that it will not be blackmailed. Recent SK media reports of military plans to target thousands of statues of Kim Il Sung and Kim Jong Il in NK are designed to cause a frenzy of staged NK loyalty to the Kim dynasty. NK has historically employed surprise and ambiguity to avoid real escalation. Direct confrontation would be evidence that something is going terribly wrong inside its new leadership. Past behavior shows a pattern of threats followed by diplomatic charm offensives designed to ease tensions and reap diplomatic gains in an environment of general relief. USSK negotiators are weary of this game. The new SK government has separated humanitarian aid from nuclear weapons negotiations, and President Park Geun-hye has patiently held out an olive branch. The NK news agency KCNA reports that Kim Jong Un "said he has judged the time has come to settle accounts with the U.S. imperialists in view of the prevailing situation": "If they make a reckless provocation with huge strategic forces, [we] should mercilessly strike the U.S. mainland, their stronghold, their military bases in the operational theaters in the Pacific, including Hawaii and Guam, and those in South Korea." IHS Jane's Defense Weekly Asia-Pacific editor James Hardy: "The fact is that despite the bombast, and unless there has been a miraculous turnaround among North Korea's strategic forces, there is little to no chance that it could successfully land a missile on Guam, Hawaii or anywhere else outside the Korean Peninsula that US forces may be stationed." The USAF flew B-2 Spirit stealth bombers over SK in annual military exercises. US Forces Korea said the mission "demonstrates the United States' ability to conduct long-range, precision strikes quickly and at will" and stated: "The United States is steadfast in its alliance commitment to the defense of the Republic of Korea, to deterring aggression, and to ensuring peace and stability in the region." North Korea rattled off fresh volleys of bombast over the weekend, declaring that it had entered a "state of war" with SK and calling the US mainland a "boiled pumpkin". The US Navy is moving the destroyer USS John S McCain and the oil rig-like SBX-1 radar platform closer to the NK coast. Pentagon spokesman George Little: "I would urge everyone to disconnect this ship deployment from recent military exercises in South Korea. We have regular ship movements in the Asia-Pacific region and we use our ship movements for any number of purposes." The US Air Force staged SK overflights by B-2 stealth bombers and big old B-52 bombers and deployed F-22 Raptor stealth fighters to the main USAF base in SK. Pyongyang has carried out some sort of military provocation within weeks of every SK presidential inauguration. New SK president Park Geun-hye said Monday that she was "viewing the threat from North Korea in a serious manner." April 15 is the anniversary of the birth of NK founder Kim Il Sung, grandfather of Kim Jong Un. NK leaders in Pyongyang said they would reactivate all facilities at the Yongbyon nuclear complex to ease the NK electricity shortage and strengthen its nuclear capability. The reactor was shut down in 2007. United States Secretary of State John Kerry, Tuesday: "The bottom line is simply that what Kim Jong Un is choosing to do is provocative. It is dangerous, reckless. The United States will not accept the DPRK (Democratic People's Republic of Korea) as a nuclear state." Until now, SK workers were allowed access to the Special Economic Zone Kaesong. No longer: NK guards forbids SK workers to enter. The last open border crossing between the two states is sealed. NK dictator Kim Jong-un wants respect. US President Barack Obama wants regime change. Americans hope starved NK citizens will overthrow the Kim dynasty. But it hasn't happened. Politicians worldwide ask China to pull on the leash. The new Chinese leadership under President Xi Jinping cannot allow North Korea to fall. A crisis could threaten China's economic boom, with millions of refugees flooding across the border and the nightmare of securing NK nuclear weapons. The People's Republic of China provided massive military aid to their NK comrades in the Korean war. Such solidarity is eternal in the eyes of the Communist Party. They will not abandon their allies, no matter how crazily they behave. The Obama administration is pressing China to crack down on the regime or face a heightened American military presence in its region. Administration officials have briefed the Chinese in detail about American steps to deter the belligerent NK regime. Chinese silence as the United States deploys assets to Korea shows both mounting frustration with NK and a desire not to strain ties with Washington. Chinese public statements voice grave concern about rising tensions but avoid elevating the stature of NK dictator Kim Jong-un. Chinese analysts say there are internal debates within the Communist Party and the military about how to deal with Kim, and how strongly to enforce the UN sanctions that China signed on to last month. The sanctions cannot succeed without China, which previously sent fuel and aid to NK. Chinese Communist Party journal deputy editor Deng Yuwen recently wrote that Beijing should give up on Pyongyang and press for Korean reunification, but he has since been suspended from his job. 1 Overwhelming US power guarantees that any NK attack would be suicidal. 2 SK leaders have shown restraint in the face of humiliating NK provocations. 3 NK leaders may understand that combined USSK forces would destroy NK. Kim's bellicose rhetoric may mask weak authority or understanding. 1 Keep the US deterrent capable and credible. 2 Assure our SK allies that we will stand with them. 3 Balance public resolve and private diplomacy. The odds are that there will be no conflict. This is a familiar game. NK: "War can break out any moment"
North Korea has erected at least one Musudan missile into its firing position. A US official said the erection may be a trial run to check everything works. The missile is an untested No-Dong-B BM-25 Musudan MRTBM (based on the Soviet R-27 SLBM) with a range up to 3,500 km (3.5 Mm) and 1.6 km CEP for its 1,200 kg (1.2 Mg) separating warhead. 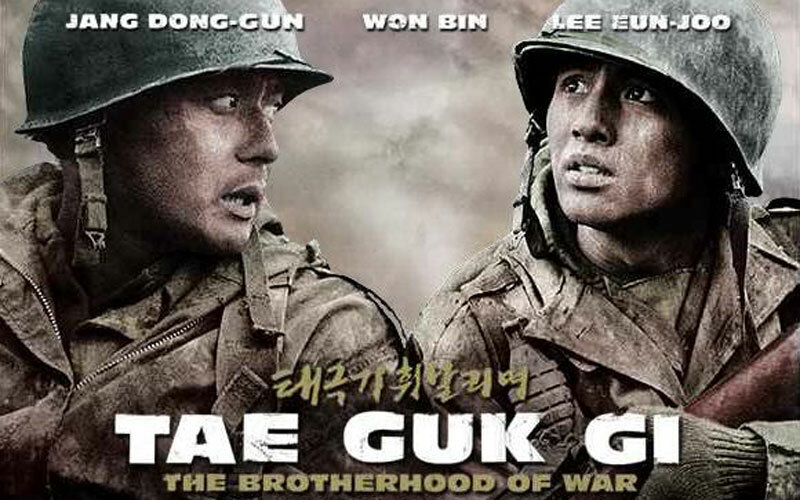 AR The 2004 movie Tae Guk Gi is a vivid reminder of the appalling human cost of Korean war.